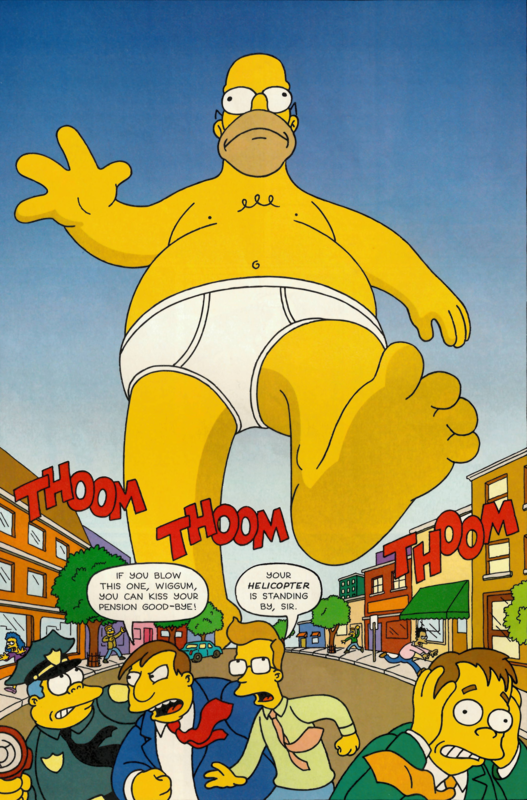 The Amazing Colossal Homer is the first comic story of Simpsons Comics featured in the first issue, Simpsons Comics #1. Homer becomes a giant after being hit with a growth ray. When Mr. Burns fails to open a box of paper clips, he must find a test subject to use his rejuvenator ray on. He chooses Homer, and tests it on him. At first, it has no effect. However, the next morning when he tries to get dressed, he turns into a giant. He appears all over the news as he walks around town in his underwear. The local government discovers that if he steps on the power plant, the town will be destroyed. So they come up with a plan. First, they lure Homer right in front of a cannon with Duff trucks. Then they use the cannon to shoot the antidote at him. He wakes up in a giant crater in his underwear, however, he's normal size. He is mobbed by the media before Mr. Burns takes him away and runs several tests on him. But at the end of the comic, Homer is revealed to be watching Mr Burns in his office, as a giant. 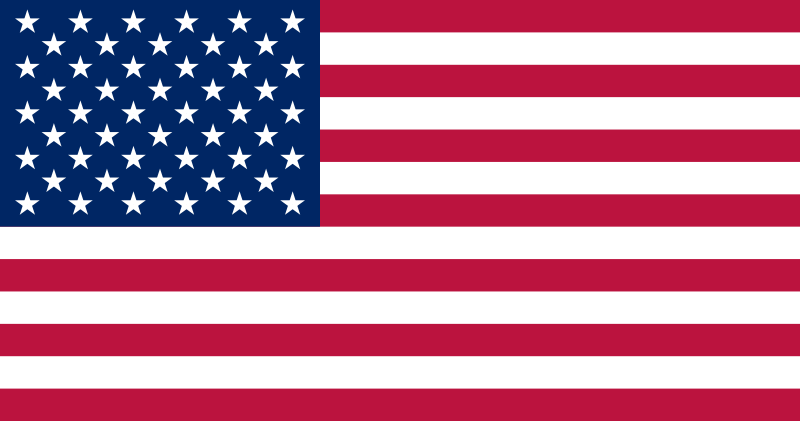 Modified on January 14, 2016, at 15:05.